The Scott Act (1888) was a United States law that prohibited Chinese laborers abroad or who planned future travels from returning. Its main author was William Lawrence Scott of Pennsylvania, and it was signed into law by United States President Grover Cleveland on October 1, 1888. It was introduced to expand upon the Chinese Exclusion Act passed in 1882 and left an estimated 20,000-30,000 Chinese outside the United States at the time stranded. An Act a supplement to an act entitled "An Act to execute certain treaty stipulations relating to Chinese," approved the sixth day of May eighteen hundred and eighty-two. Prior to the Scott Act, the governments of the United States and the Great Qing Empire of China had formed the Bayard-Zhang Treaty, whereby the Chinese government would restrict emigration to the United States, and in exchange, the United States government would crack down on discrimination and bad treatment of Chinese in the US. However, the treaty met with considerable opposition, both in China (particularly Kwangtung province) and among the Chinese in the United States. Due to public pressure, the Chinese government chose not to ratify the treaty. The United States government responded by acting unilaterally to pass the Scott Act. On October 8, 1888, Chae Chan Ping, a Chinese citizen and unskilled laborer working in San Francisco, returned to the US after a trip home to China. He was stopped at the port and denied entry. He challenged the denial and the case reached the Supreme Court. This case, Chae Chan Ping v. United States, was decided on May 13, 1889 in favor of the United States. The Supreme Court decision was an important precedent both for establishing the federal government's discretionary power over immigration and upholding the government's authority to pass and enforce legislation contradictory to the terms of past international treaties (the treaty in question being the Burlingame Treaty of 1868). ^ a b c d "Scott Act (1888)". Harpweek. Retrieved January 16, 2015. ^ The Oxford Guide to United States Supreme Court Decisions. Retrieved January 16, 2015. ^ Erhart, Victoria (June 27, 2011). "Bayard-Zhang Treaty of 1888". Immigration in America. Retrieved January 16, 2015. ^ Immigration in America. "Chae Chan Ping v. United States". Retrieved January 16, 2015. ^ Legal Information Institute, Cornell University Law School. "CHAE CHAN PING v. UNITED STATES. 130 U.S. 581 (9 S.Ct. 623, 32 L.Ed. 1068) CHAE CHAN PING v. UNITED STATES". Retrieved January 16, 2015. Wong, Edlie L. (2015). "Racial Reconstruction: Black Inclusion, Chinese Exclusion, and the Fictions of Citizenship". New York University Press. ISBN 978-1479817962. OCLC 906010899. Zhu, Liping (2013). "The Road to Chinese Exclusion: The Denver Riot, 1880 Election, and Rise of the West". University Press of Kansas. ISBN 978-0700619191. OCLC 837923477. Gold, Martin (2011). "Forbidden Citizens: Chinese Exclusion and the U.S. Congress : A Legislative History". Alexandria, Virginia: The Capitol Net Inc. ISBN 978-1587332357. OCLC 785081707. Ahmad, Diana L. (2007). "The Opium Debate and Chinese Exclusion Laws in the Nineteenth-Century American West". University of Nevada Press. ISBN 978-0874176988. OCLC 71004058. "The Supreme Court and the Chinese Exclusion Act". Internet Archive. American Advocate of Peace. Unknown. 1893. JSTOR 27899913. OCLC 904370565. Miller, Joaquin (1901). "The Chinese and the Exclusion Act". Internet Archive. The North American Review. JSTOR 25105257. OCLC 85824011. Wellborn, Mildred (1912). "The Events Leading to the Chinese Exclusion Acts". Internet Archive. Historical Society of Southern California. JSTOR 41168895. OCLC 14640791. Events in the year 1888 in China. The Cable Act of 1922 (ch. 411, 42 Stat. 1021, "Married Women's Independent Nationality Act") was a United States federal law that reversed former immigration laws regarding marriage. (It is also known as the Married Women's Citizenship Act or the Women's Citizenship Act). Previously, a woman lost her US citizenship if she married a foreign man, since she assumed the citizenship of her husband, a law that did not apply to US citizen men who married foreign women. The law repealed sections 3 and 4 of the Expatriation Act of 1907.The law is named for Ohio representative John L. Cable, who proposed the legislation. Chae Chan Ping v. United States, 130 U.S. 581 (1889), decided by the United States Supreme Court on May 13, 1889, and better known as the Chinese Exclusion Case, was a case challenging the Scott Act of 1888, an addendum to the Chinese Exclusion Act of 1882. One of the grounds of challenge was that it ran afoul of the Burlingame Treaty of 1868. The Supreme Court rejected the challenge, upholding the authority of the Federal Government of the United States to set immigration policy and pass new legislation that would override the terms of previous international treaties. The decision was an important precedent for the Supreme Court's deference to the plenary power of the United States legislative branches in immigration law and in their authority to overturn the terms of international treaties. Although the term consular nonreviewability would not be used until the 20th century, the case was cited as a key precedent in the defining cases that established the doctrine of consular nonreviewability. As such, it played an important role in limiting the role of the judiciary in shaping immigration to the United States. The Chinese Exclusion Act was a United States federal law signed by President Chester A. Arthur on May 6, 1882, prohibiting all immigration of Chinese laborers. Building on the 1875 Page Act, which banned Chinese women from immigrating to the United States, the Chinese Exclusion Act was the first law implemented to prevent all members of a specific ethnic or national group from immigrating. The act followed the Angell Treaty of 1880, a set of revisions to the U.S.–China Burlingame Treaty of 1868 that allowed the U.S. to suspend Chinese immigration. The act was initially intended to last for 10 years, but was renewed in 1892 with the Geary Act and made permanent in 1902. It was repealed by the Magnuson Act on December 17, 1943, which allowed 105 Chinese to enter per year. Chinese immigration later increased with the passage of the Immigration and Nationality Act of 1952, which abolished direct racial barriers, and later by Immigration and Nationality Act of 1965, which abolished the National Origins Formula. The Civil Rights Act of 1866, 14 Stat. 27–30, enacted April 9, 1866, was the first United States federal law to define citizenship and affirm that all citizens are equally protected by the law. It was mainly intended, in the wake of the American Civil War, to protect the civil rights of persons of African descent born in or brought to the United States. This legislation was passed by Congress in 1865 and vetoed by U.S. President Andrew Johnson. In April 1866 Congress again passed the bill to support the Thirteenth Amendment. Johnson again vetoed it, but a two-thirds majority in each chamber overcame the veto to allow it to become law without presidential signature. John Bingham and other congressmen argued that Congress did not yet have sufficient constitutional power to enact this law. 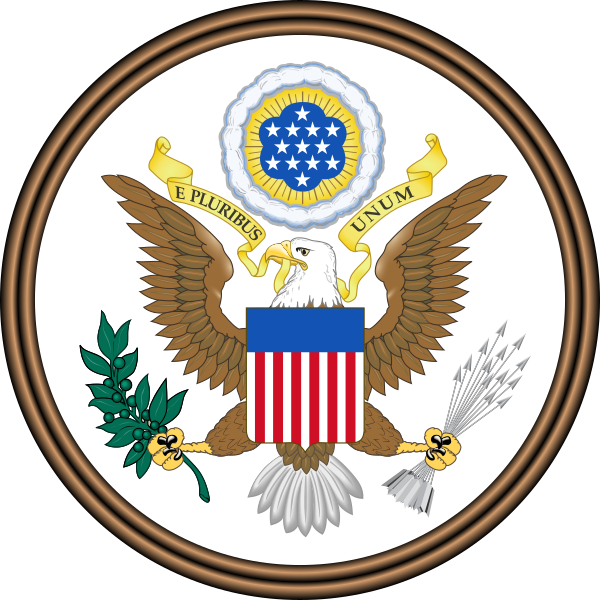 Following passage of the Fourteenth Amendment in 1868, Congress ratified the 1866 Act in 1870. Fong Yue Ting v. United States, 149 U.S. 698 (1893), decided by the United States Supreme Court on May 15, 1893, was a case challenging provisions in Section 6 of the Geary Act of 1892 that extended and amended the Chinese Exclusion Act of 1882. The provisions in question required Chinese in the United States to obtain certificates of residency, and allowed for the arrest and deportation of Chinese who had failed to obtain these certificates, even if they had not violated any other laws. The case involved writs of habeas corpus from Fong Yue Ting and two other Chinese citizens residing in New York City who were arrested and detained for not having certificates. The Supreme Court decision (6 to 3) was in favor of the United States government, upholding the Geary Act and denying the writs of habeas corpus. The Geary Act was a United States law that extended the Chinese Exclusion Act of 1882 by adding onerous new requirements. It was written by California Representative Thomas J. Geary and was passed by Congress on May 5, 1892. The law required all Chinese residents of the United States to carry a resident permit, a sort of internal passport. Failure to carry the permit at all times was punishable by deportation or a year of hard labor. In addition, Chinese were not allowed to bear witness in court, and could not receive bail in habeas corpus proceedings. The Geary Act was challenged in the courts but was upheld by the United States Supreme Court in an opinion by Justice Horace Gray, Fong Yue Ting v. United States, 149 U.S. 698, 13 S. Ct. 1016. 37 L.Ed. 905 (1893), Justices David Josiah Brewer, Stephen J. Field, and Chief Justice Melville Fuller dissenting. The Immigration Act of 1882 was a United States federal law signed by President Chester A. Arthur on August 3, 1882. It imposed a head tax on noncitizens of the United States who came to American ports and restricted certain classes of people from immigrating to America, including criminals, the insane, or "any person unable to take care of him or herself." The act created what is recognized as the first federal immigration bureaucracy and laid the foundation for more regulations on immigration, such as the Immigration Act of 1891. The Immigration Act of 1891, also known as the 1891 Immigration Act, was a modification of the Immigration Act of 1882, focusing on immigration rules and enforcement mechanisms for foreigners arriving from countries other than China. It was the second major federal legislation related to the mechanisms and authority of immigration enforcement, the first being the Immigration Act of 1882 (there were other, more minor pieces of legislation passed in the 1880s). The law was passed on March 3, 1891, at the end of the term of the 51st United States Congress, and signed into law by then United States President Benjamin Harrison. The Nationality Act of 1940 (H.R. 9980; Pub.L. 76-853; 54 Stat. 1137) revised numerous provisions of law relating to American citizenship and naturalization. It was enacted by the 76th Congress of the United States and signed into law on October 14, 1940, a year after World War II had begun in Europe, but before the U.S. entered the war. The law revised "the existing nationality laws of the U.S. into a more complete nationality code"; it defined those persons who were "eligible for citizenship through birth or naturalization" and clarified "the status of individuals and their children born or residing in the continental U.S., its territories such as Alaska, Hawaii, Puerto Rico, the Virgin Islands, the Philippines, Panama and the Canal Zone, or abroad." The law furthermore defined who was not eligible for citizenship, and how citizenship could be lost or terminated. This legislation represents the first attempt ever made, since the founding of the United States, to codify and unify all of the U.S. laws relating to nationality and naturalization. Nishimura Ekiu v. United States, 142 U.S. 651 (1892), was a United States Supreme Court case challenging the constitutionality of some provisions of the Immigration Act of 1891. The case was decided against the litigant and in favor of the government, upholding the law. The case is one of two major cases that involved challenges to the Immigration Act of 1891 by Japanese immigrants, the other (and more famous) case being Yamataya v. Fisher. Sullivan's Island is a town and island in Charleston County, South Carolina, United States, at the entrance to Charleston Harbor, with a population of 1,791 at the 2010 census. The town is part of the Charleston metropolitan area, and is considered a very affluent suburb of Charleston. Sullivan's Island was the point of entry for approximately 40 percent of the 400,000 enslaved Africans brought to British North America; it has been likened to Ellis Island, the 19th-century reception point for immigrants in New York City. During the American Revolution, the island was the site of a major battle at Fort Sullivan on June 28, 1776, since renamed Fort Moultrie in honor of the American commander at the battle. On September 23, 1989, Hurricane Hugo came ashore near Sullivan's Island; few people were prepared for the destruction that followed in its wake. The eye of the hurricane passed directly over Sullivan's Island. The Ben Sawyer Bridge was a casualty, breaking free of its locks. Before the storm was over, one end of the bridge was in the water and the other was pointing skyward. Sullivan's Island police chief, Jack Lilien, was the last person to leave the island before the bridge gave way.